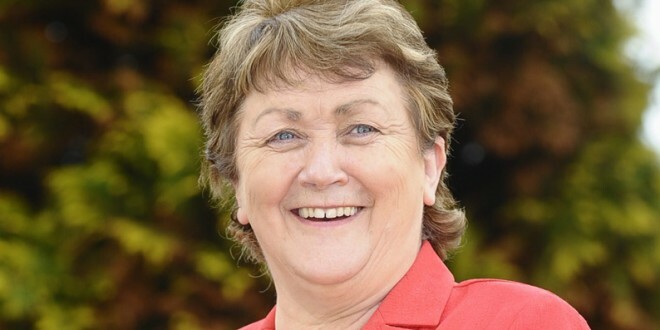 GORT and South Galway will be without “an essential service” from next week, according to Councillor Bridie Willers. The Department of Social Protection confirmed that community welfare services are to be relocated from Gort and other locations in south and east Galway to the new Intreo office in Loughrea with effect from next Monday. The new social welfare office in Station Road, Loughrea and the community welfare officer will cover an area from Kilchreest to Kinvara. According to Councillor Willers, “The decision by the Department of Social Protection to axe the community welfare officer (CWO) service in Gort will leave many vulnerable people in distress and is totally unacceptable. “There is no public transport whatsoever between the towns of Gort and Loughrea. People who do not own a car, and there are many, will have to travel by bus to Galway/Oranmore and then catch a bus to Loughrea,” she added. Bus Éireann confirmed there is currently no direct public transport link between Kinvara or Gort and Loughrea. In order to get to the community welfare office, people in either of the two South Galway towns would have to take the bus to Oranmore, before changing there for the Dublin-bound bus. A return ticket to Loughrea from Kinvara costs more than €20 when booked online with Bus Éireann and can take anything from just under an hour to nearly two hours one way, depending on the service. Any of the services to Loughrea from Gort, according to the company’s website, take in excess of two hours each way and also costs more than €20 for a day return. “Those seeking advice on rent allowance, special needs payment, back-to-school footwear and clothing allowance will have to go to the Loughrea office,” Councillor Willers points out. However, the department, in response to questions from The Clare Champion, is advising people to contact the community welfare office by other means. “The department is very conscious of the need to provide effective and efficient customer-facing services at a local level for customers. Customers in the Gort and Kinvara areas are encouraged to contact the service in Loughrea by phone, email or post in the first instance and, in most cases, the staff there will answer their queries without having to attend a public clinic in Loughrea. “If a face-to-face meeting is still necessary, but the customer is unable to travel to the public clinic, for example due to illness, an officer will arrange a visit to the customer’s home, if necessary,” the statement outlined. Councillor Willers is calling for an outreach service to be established in Gort and Kinvara to cater for people in these areas and their hinterlands. “People who seek help from the CWO are vulnerable people in need. The numbers seeking assistance at the Community Welfare Office has increased significantly in recent times because of the recession and more people are in difficulties. Whoever in the Department of Social Protection made this harsh decision to close the service in Gort, which is obviously a cost-cutting exercise, was not thinking of the hardship and anxiety this closure will cause to clients. “Admittedly, the building in which the CWO was based in Gort was not fit for purpose but the service was excellent. Both Kinvara and Gort must be serviced with an outreach service or a weekly clinic as a minimum,” Councillor Willers said. A spokesperson for the department claimed the changes to the way the service is delivered will make it better. “Under the Government’s Pathways to Work Programme, the department is committed to providing opportunities, support and assistance to the approximately 420,000 people on the Live Register. It is planned to do this through intensifying the department’s level of engagement with people who are unemployed and, in particular, those who are, or become, long-term unemployed. “In order to deliver on this commitment, it is necessary to redeploy 300 staff throughout the country from other services to activation case officer roles before the end of this year. “Accordingly, in the coming months, up to 20 staff, drawn primarily from the department’s community welfare service, social welfare inspectors and community services, will take up new roles as activation case officers in County Galway. “These changes, which are largely predicated on the rationalisation of the community welfare service clinics, will increase activation case officer numbers across the county from 13 to 33 staff,” they explained. “It is envisaged that a more enhanced service will be available from this new office, including the ability to provide customers with a full range of departmental services available in one location and greater opening hours, providing more options for customers to meet with staff and to allow access to the improved facilities available in main offices. “The relocation of services coincides with greater integration between the community welfare service and other locally-based staff of the department. As part of the relocation of community welfare services to Loughrea, the frequency of available public clinics is being increased to five mornings per week. In addition, the number of staff available to these clinics will be increased, giving customers improved access to services there,” the spokesperson concluded.